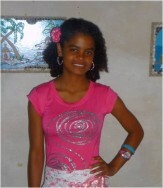 Firoza has been one of Projecto Oceano’s outstanding students since inception. As the only female member of our leadership group, she has developed the ability to stick up for her beliefs, a very important skill in a largely male-dominated society. We believe she has enormous potential in the future, and she has already had a big impact on younger students on Ilha through her bi-weekly voluntary I.T. classes. In addition, she has a natural aptitude for organisation, and has been in charge of our monthly Social Debates. Especially in the most controversial debates, she can be relied upon to provide the voice of reason, and has a natural air of authority. She has the ability to think quickly on her feet, and to debate points in a coherent and logical manner. Having gained a very good average of 13/20 in her final school exams, her primary ambition is to study General Medicine at University. If she is unsuccessful in these tough entrance exams, she plans to sit the admission tests for a degree in International Relations. Mature beyond her years, she is very keen to study and live abroad before returning to live and work in Mozambique. 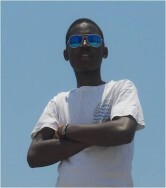 Mingos has been one of the shining lights of Projecto Oceano since we started work in Mozambique. He is energetic, charismatic, hard-working, dynamic, and a motivator of others – skills that are in short supply in Mozambique. We believe that he represents all that is best about the Project, and he has long been the best ambassador of our work on Ilha de Moçambique. He takes an active leadership role in all classes and activities we provide, and manages to sustain this alongside his school-work, extra-curricular sports and ad-hoc computer maintenance. He is openly ambitious, and has a proactive ‘aim for the stars’ attitude to everything that he does. On a par with Tino, he is perhaps Ilha de Moçambique’s brightest student, as displayed by a fantastic 14/20 in his final school exams. He has a natural ability for most things in life, including languages (how does a Mozambican speak Spanish with a Madrid accent?! ), sport, science, art and I.T. Mingos’ future, if given the opportunity, could follow many paths. His talents are widely-spread; the challenge for him is to pick which of his numerous talents he wants to specialise in. He aims to follow one of two potential paths, Architecture (combining his Artistic / Design side with Maths and Physics) or I.T. Engineering (Maths, Physics and I.T.). Whatever path he chooses, he plans to use his English, French and Spanish in an attempt to work or study abroad if given the opportunity. Equally commendable is his desire to work and teach in Mozambique; he is one of the greatest advocates of Projecto Oceano’s ‘aprender para ensinar aos outros’ motto. Tino is an unashamed academic, and is rarely found without a book or a computer at hand. He has managed Projecto Oceano’s monthly newspaper, Voz Jovem (download / view on AZLera’s website), since early 2011 and has risen to the considerable challenges posed by this job, including overseeing all contributing editors’ work. Tino takes enormous pride in his work, and has an eye for detail and Projecto Oceano has been very lucky to have Tino’s contributions over the past few years. He has a very developed sense of maturity and perspective for someone who has grown up in a tiny and under-developed community; his 2011 Voz Jovem articles on Ramadan and International Children’s’ Day are evidence of this. Although a multi-talented student, Tino’s greatest area of strength in relation to his peers lies in his linguistic ability. He scored an unprecedented 19/20 in his final school English exams; we have found it very difficult to accommodate him in Project language classes because his level of grammar and conversational English (and French) is so much higher than his colleagues. More recently, he has been dipping into English versions of The Economist, and has an incredible ability to digest information and discuss complex issues in English. Tino is a great example of someone who has considerable natural talent, but does not sit back and rely on his natural ability. He is one of the hardest-working students at the project and has an insatiable hunger for knowledge and self-improvement. 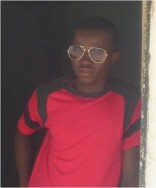 He scored 14/20 in his final year exams, showing that English is by no means his only strength. Projecto Oceano views him as a talent that does not need nurturing, but needs an opportunity to continue studying. Tino’s preferences for further education lie in Public Administration or Anthropology. Zito is always, with no exceptions, a genuine pleasure to work with. He has been perhaps the most consistent member of Projecto Oceano since our inception on Ilha de Moçambique in 2002, and can be relied upon to participate in every Project activity, be it fun or more mundane! From organising Projecto Oceano’s participation in art / handicraft festivals to arranging island-wide volleyball tournaments, he is the Project’s ‘go-to’ man. Equally impressive is his ability to manage all his Project-related commitments whilst prioritising his schoolwork. This was particularly evident this year, as he organised several Project events for the community, whilst also attaining a very strong 13/20 in his final school exams. He excelled particularly in Maths, Physics and Design, which he views as central to his future. Zito hopes to have the opportunity to combine two of his strength, Maths and Design, in studying Architecture at University. We hope to find the means to help him accomplish these dreams – he is an energetic and hard-working student, and deserves an opportunity to progress in life. Thanks to our previous Project Members, Projecto Oceano is what it is today. Their contributions, efforts and insights are invaluable and their role in transferring their knowledge and experience to the younger generations has been vital. They are the island's role models. Although they have now left the project to pursue further education, we are following their progress eagerly (Firoza and Manuel are AZLera's scholarship recipients).